Chocolate Crackles are a classic Australian Kids’ birthday party food. It was rare to turn up to a party and not find chocolate crackles on the food table. These days I can understand why parents chose to make these little beauties. There are only 5 ingredients, they take about 10 minutes to make and they can be made a day or two before the party! It’s a perfect storm for party preparation! Chocolate Crackles are traditionally made with a product called Copha. Copha cannot be bought in the US – and to be truthful, that’s not a bad thing. Copha is essentially hydrogenated coconut oil. The hydrogenating process makes the coconut oil melt at a higher temperature, which is a good thing in the hot climate of Australia. The downside is that it looses a lot of the health benefits of coconut oil. online at Amazon. There have been many discussions lately on the health benefits of coconut oil. 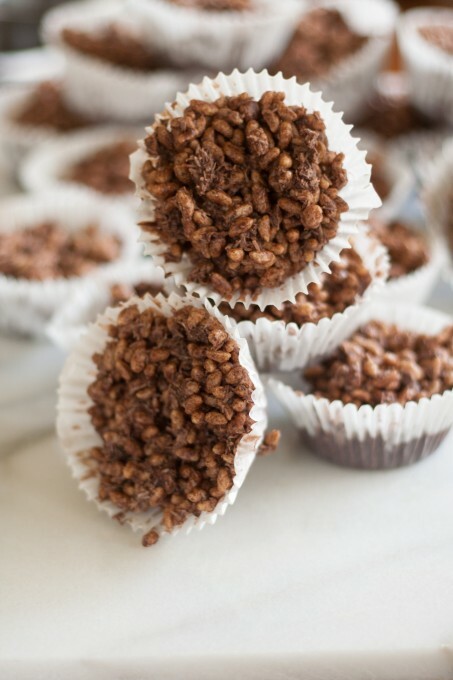 I will not claim that these Chocolate Crackles are healthy – but by using coconut oil instead of Copha, they are definitely healthier than the original. What’s even better is that they taste the same! 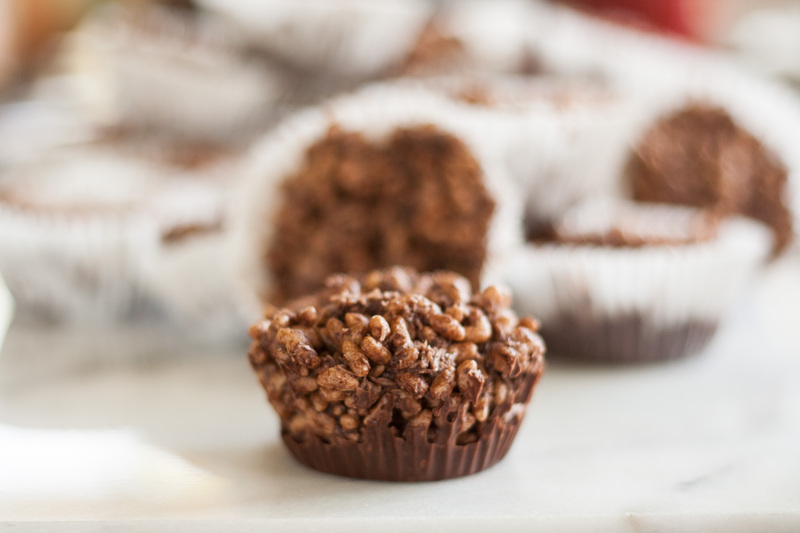 If you are a chocolate and coconut lover, you are going to love Chocolate Crackles. 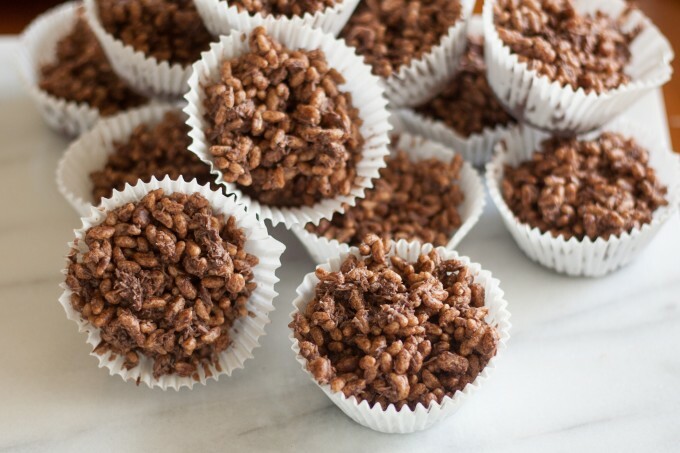 Each bite is a crunchy sweet mouthful of chocolate and coconut covered Rice Krispies. Yum! Melt the coconut oil in a saucepan over low heat. Once the oil is completely melted, remove it from the heat and allow it to cool slightly. In a large bowl, mix the Rice Krispies, confectioners’ sugar, coconut and cocoa. Pour the coconut oil over the Rice Krispies mixture, and stir the ingredients until they are combined. Spoon the mixture into paper the cupcake liners and refrigerate until firm. Once firm, store in the refrigerator in an airtight container until ready to serve. Rice Krispies (USA) and Rice Bubbles (Australia) are the same product. Both of these products contain malt, so if you want to make these gluten free you can easily substitute a similar cereal such as Nature's Path Crispy Rice (USA) or Freedom Foods Rice Puffs (Australia). 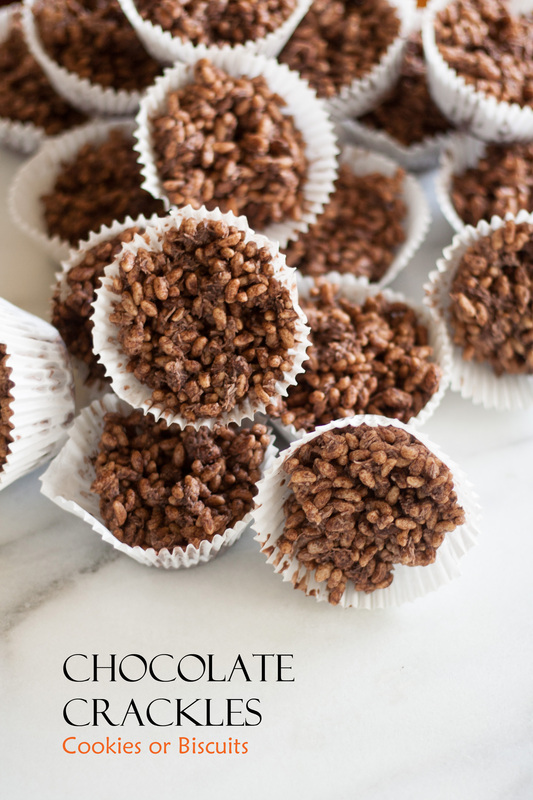 Thanks so much for a chocolate crackle recipe without copha! I can’t get it in Switzerland so I thought we’d have to miss out forever! You’re welcome. I went a long time without making Chocolate Crackles because I had no access to Copha. It wasn’t until I sat down and looked at the ingredients in Copha that I realized that it was made from coconut oil. I’m glad you’ll be able to make them still. Thanks Erin! They certainly disappear very quickly in our family, and I’m guilty of helping that number go down. Photography is certainly a learning curve for me – but the sunshine this week has certainly helped. Found this recipe looking for an Aussie treat to serve at my daughter’s around the world birthday party. These were so perfect and delicious! All the kids loved them and they vanished quickly. We looked through a photography book of gorgeous Australia while we snacked on Chocolate Crackle. Absolutely perfect. Thanks! Thanks for the wonderful recipe. I’m also an Aussie living in the US. So nice to have some small reminders of home.